Thousands of students have come through the doors of ARTARY to participate in the best art experience. Our children Fine Art programmes are designed to deliver a holistic, disciplined, and engaging art learning experience. ARTARY’s industry leading e-Services provides a convenient and personalised experience to access ARTARY’s services online. Through the 24/7 online e-Services portal, students can make payments, reschedule sessions, make instant trial appointments and access other common services from the convenience of wherever they are. Today, we are proud to announce that students can now access their Education Plan through e-Services. Your ARTARY Education Plan is unique. Beginning from the time of enrolment, the Education Plan journals every lesson attended, allowing parents and students to relive and review themes, artworks, learning experiences and mastery of skills. The Education Plan also presents upcoming artworks, so that students can look forward to their next lesson, or even conduct brief preparations if they so wish! Every ARTARY lesson has been carefully designed for the best art experience and skills mastery for students. Now equipped with the Education Plan, parents can play a part too! Students are expected to progress through the different ARTARY Fine Art programmes as they reach appropriate ages and successfully gained the required mastery of skills. The Education Plan provides transparent and up to date information on advancements, unique to every student. Your Education Plan is deeply integrated with ARTARY’s students management system. Students will receive an invite to review their Education Plan upon their attendance in campus. It is important to know your Education Plan. Access your Education Plan through e-Services online, or in campus. Education Plan is only available for enrolled students. Today, we are proud to announce the opening of Artary’s upcoming Bukit Panjang Junior Campus! Bukit Panjang Junior Campus will open in Q1 2017, in the western Singapore town of Bukit Panjang. Our new campus will be situated in Hillion Mall, located exactly at the Bukit Panjang Integrated Transport Hub, directly accessible by Downtown Line Bukit Panjang MRT, Bukit Panjang LRT and the buses plying through the bus interchange. We are excited about the plentiful transport options that will be available for our students! Bukit Panjang Junior Campus is expected to begin offering programmes along with the soft opening launch of Hillion Mall. The campus will deliver the same popular Artary’s Fine Art children art programmes, with the warmth and friendliness that students and parents love. Bukit Panjang Junior Campus will serve children from 3 to 14 years old. Bukit Panjang Junior Campus is now open for student pre-registrations. Classes will begin from Q1 2017 onwards. What an exciting afternoon to have our Prime Minister, Mr Lee Hsien Loong visit our Punggol SAFRA campus and bringing smiles to our students! Happy National Day Singapore! 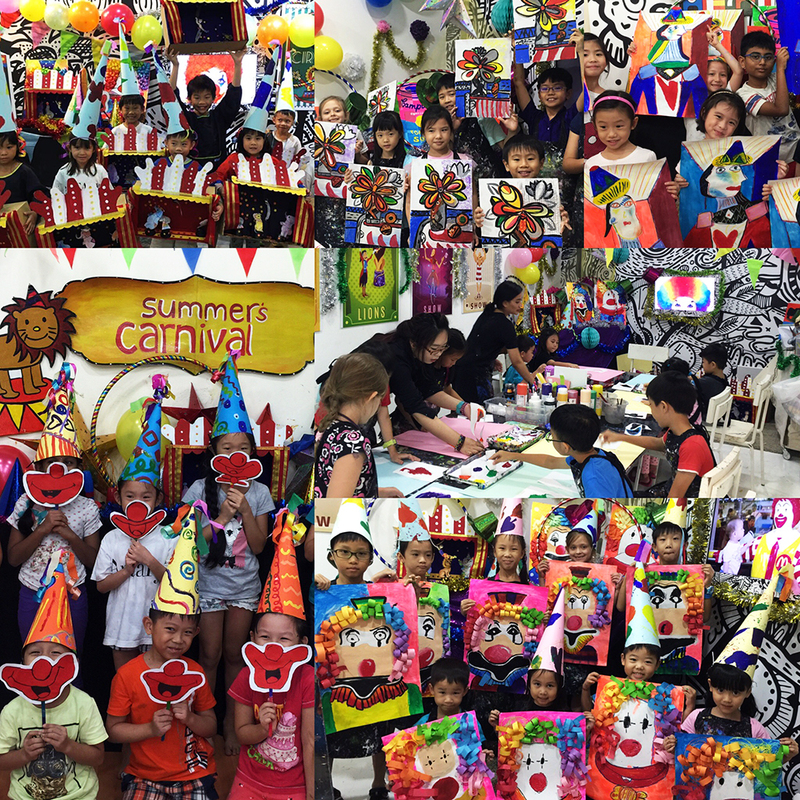 Artary Punggol was proud to host the SAFRA Punggol Parent Blogger Event last weekend. It was our pleasure to welcome so many excited children and parents. For more information on Artary Punggol, please visit http://artary.sg/locations/punggol/. Good bye circus! Come back soon!